Trafficking in human beings is a violation of human rights and an offence to the dignity and integrity of the human being. 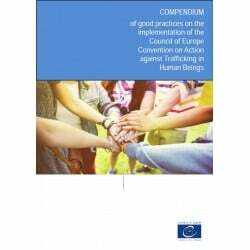 The Council of Europe Convention on Action against Trafficking in Human Beings was adopted by the Committee of Ministers of the Council of Europe on 3 May 2005, and entered into force on 1 February 2008. While building on existing international instruments, the Convention goes beyond the minimum standards agreed upon in them and strengthens the protection afforded to victims. The Convention has a monitoring system set up to supervise the implementation of the obligations contained in it, which consists of two pillars: the Group of Experts on Action against Trafficking in Human Beings (GRETA) and the Committee of the Parties.